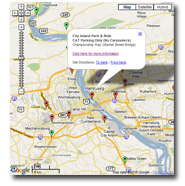 Welcome to the homepage for the Regional Transit Coordination Study. 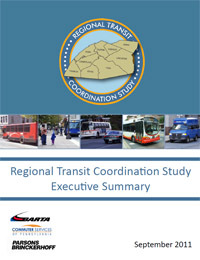 The purpose of the Regional Transit Coordination Study (RTCS) is to investigate the need to coordinate transit services provided by different transit agencies in the nine-county region covered by Commuter Services of Pennsylvania. The study is sponsored by the Pennsylvania Department of Transportation (PennDOT) through the Berks Area Regional Transit Authority (BARTA) and the nine participating counties: Adams, Berks, Cumberland, Dauphin, Franklin, Lancaster, Lebanon, Perry, and York. 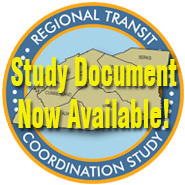 A Joint Study Committee (JSC), comprised of members from the Board of Directors of Commuter Services, is overseeing the study’s progress. For a list of agencies participating on the JSC, click here. As it is collected, data is shared with the JSC for their review and interpretation. To date, five JSC meetings have been held, click JSC #1, JSC #2, JSC #3, JSC#4 and JSC #5 to review the meeting summaries and click here to see what maps and plans were presented. Visit this site often to learn of additional opportunities to get involved. Over 60 stakeholders (click HERE For a list of attendees) participated in the Regional Transit Coordination Study Transit Roundtable #2, a half-day workshop held at the Harrisburg Area Community College (HACC) on April 11, 2011. The purpose of the Transit Roundtable #2 was to involve more stakeholders in a discussion focused on the opportunities and barriers associated with the implementation of regional transit service. The meeting began with an overview to familiarize the participants of the issues to be addressed and the overall purpose of the study. (click HERE to view the Power Point presentation given at the event) After a brief recap of the ten corridors identified for potential new or enhanced transit service, (Click HERE to see the 10 corridor maps) discussion turned to the criteria used to categorize the corridors in terms of their readiness for implementation: short, mid- or longer-term. Among the many factors used to evaluate the corridors, the potential for future population growth in the area, the availability of incentives to promote transit, and ease of implementation were deemed most important. Several barriers to implementation identified in the first transit roundtable were presented. These barriers were generally categorized into three types: 1. Organizational Framework, 2. Legislative and Funding, and 3. Community Partnerships. Discussion then turned to several strategies other regions had used to overcome these barriers. Through discussions and review of public materials, the consultant team examined over one dozen regions and shared with attendees a series of relative “best practices” from other regions of the US. (click HERE to see pictures from the transit roundtable). The need for clear communication was identified by every group. A public education campaign highlighting the benefits of transit to individuals, the environment and the region needs to be undertaken. Several groups discussed how the younger generation was much more willing to use transit as part of a green lifestyle, but it needed to make sense, particularly as it relates to automobile travel. Transit agencies need to identify real and lasting benefits for the business community before approaching them. Political will is needed to help county or city-based systems look beyond their geographic constraints. Separate funding for facilitating regional transit coordination is needed in legislation, with local political support. All of the groups identified the Susquehanna Regional Transportation Partnership as a key player and the logical facilitator of activities moving forward. 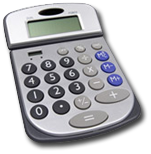 (click HERE for a complete list of comments generated at the small group discussions). At the end of the roundtable, the consultant team was charged with recommending which strategies were deemed the most appropriate for the region and to develop a replicable template for implementation of regional transit service coordination.